The classics are here, at our casino, with the best possible rewards. 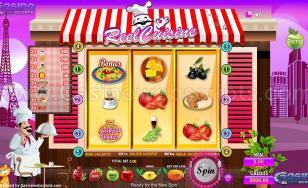 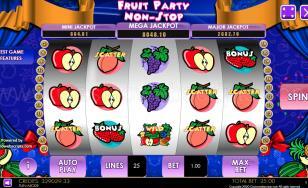 Enjoy the taste of our Fruit Cocktail bonus or experience the savour of the Jackpots. 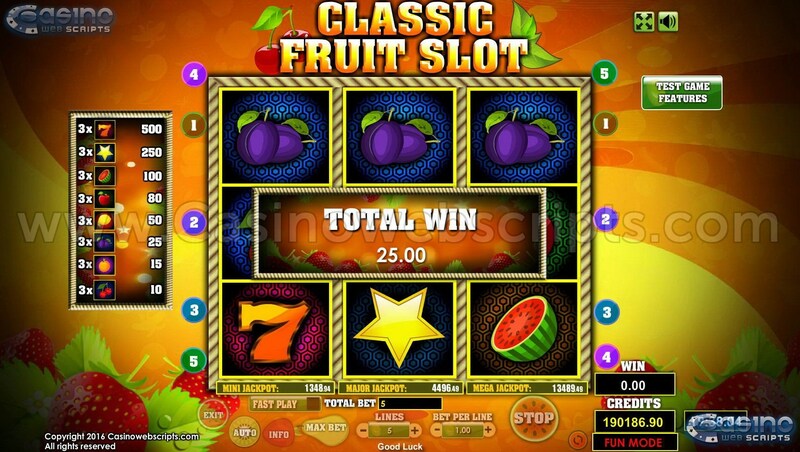 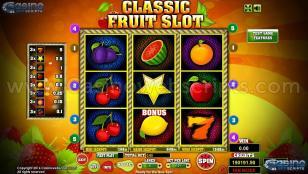 With Classic Fruit Slot, anything is possible. 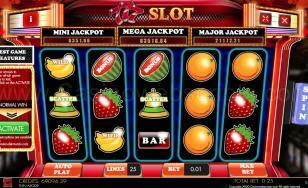 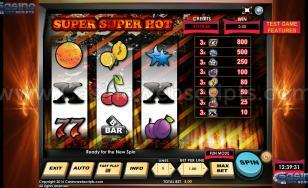 -Auto(Autoplay): will automatically SPIN and collect using the current number of lines and betperline, until your credit balance will not allow another SPIN, or until the limited number of 25 auto play spins are completed, or until the STOP button is pressed. 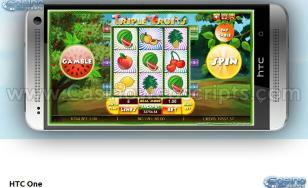 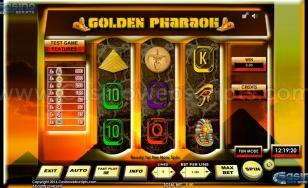 Only the highest winning combination on each active payline is paid. 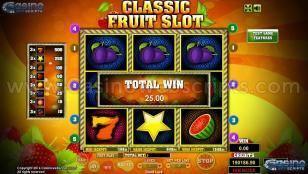 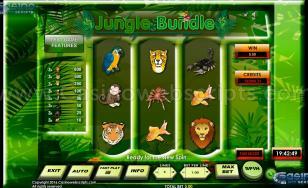 Simultaneous wins on different active paylines are all added to the credit balance. 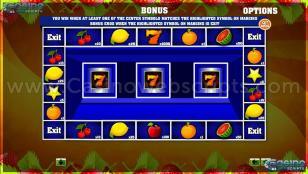 The "EXIT BONUS" button will exit the current bonus round. 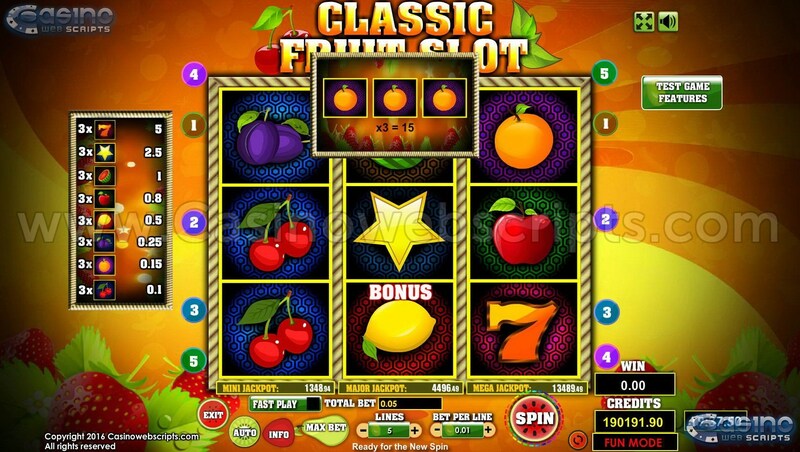 Any of the three Progressive Jackpots (Mini Jackpot, Major Jackpot, Mega Jackpot) can be won randomly by spinning the reels, during normal play or freespin mode, then symbol S7 will appear on all reel stops. 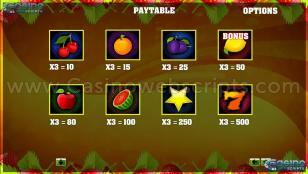 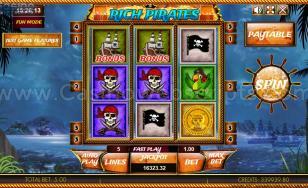 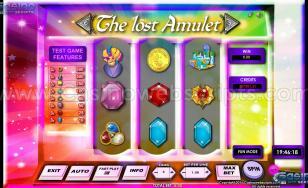 No Freespins will be awarded and no bonus rounds will be awarded when the Jackpot will be won. No line wins will be awarded. 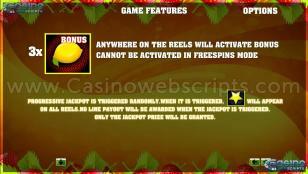 Freespins can be gained only from Jackpot Bonus mode. 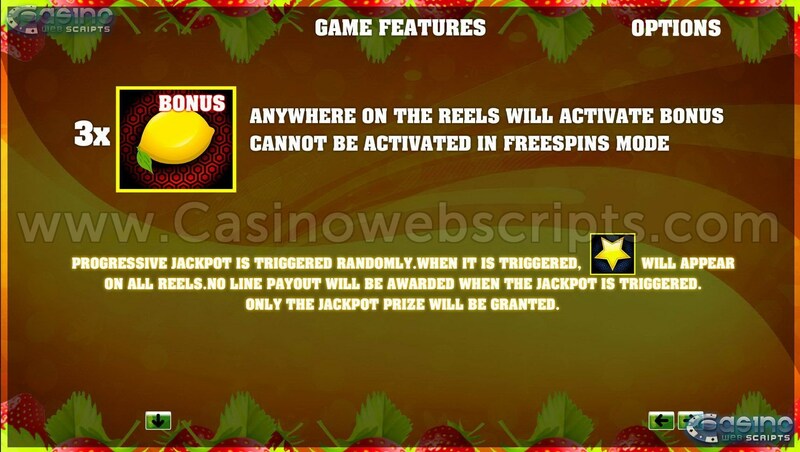 Freespins mode is started after jackpot bonus mode ends, if you won Freespins. 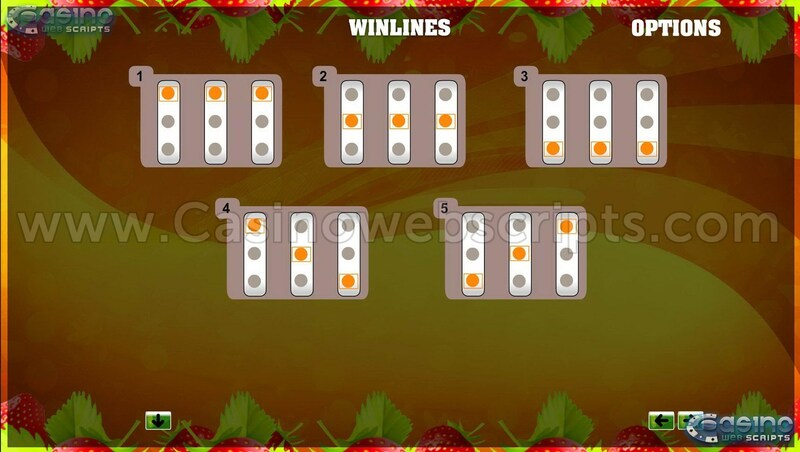 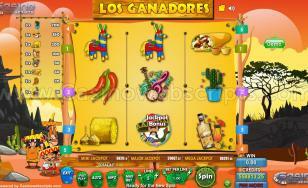 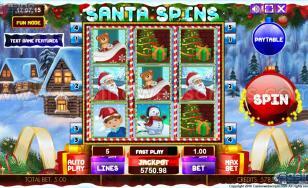 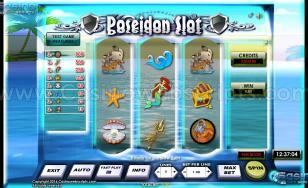 Free spins are played at the same number of lines selected and bet per line of the triggering game (that were used when entered Jackpot Bonus mode). 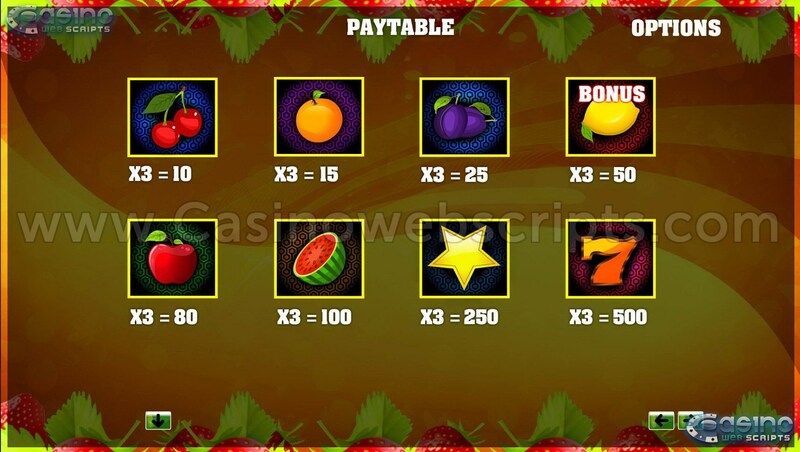 The paytable on the left side of the game screen always shows the actual symbol payouts multiplied by the bet per line.